The stadium-filling group - who were among the stars who have carried the Olympic torch on its lengthy tour of the UK - are unveiling their song Survival. The track will be played throughout sports sessions at official venues for the games, such as when athletes enter and during the build-up to medal ceremonies. 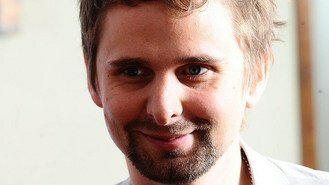 Frontman Matt Bellamy said: "It's a huge honour to have the track chosen as such a major part of the London 2012 Olympic Games. "I wrote it with the Games in mind as it expresses a sense of conviction and determination to win." Muse - who formed in 1994 - were the first band to sell out the rebuilt Wembley stadium, which in its earlier incarnation had been the venue for the 1948 Olympics. The band have released five studio albums, selling more than 15 million copies worldwide. Their 2009 release The Resistance became their third album to top the UK charts. The group - which also features Dominic Howard on drums and bass player Chris Wolstenholme - are due to release their next album The 2nd Law in September. The group's song will be available to buy on iTunes from 8pm.